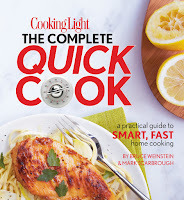 Even Faster: easy tips within the recipes for making that particular recipe even faster! I loved this cookbook and ended up cooking 7 recipes, not including some of the salad dressing and marinades that I tried. The meals are separated into many sections. There are breakfast, lunch, dinner, stir-fry meals, casseroles, and much more. Not only does the book include recipes but there are little boxes that include tips and substitutions if you don't have ingredients on hand. It also includes an index. Everyone looks for different things in a cookbook but I can only tell you the things that are important to me. This cookbook has at least one picture per page! It's absolutely wonderful. The food looks so amazing and I know instantly which recipes I would be interested in trying. In this aspect, this book is far above the rest. Ingredients - Number. I don't like cooking recipes that have tons of ingredients because I increase the likelihood that I will forget to buy something or that I will forget to add it into my recipe (I forgot the cream cheese in a spinach dip recently and still ate it. True story.). Plus, tons of ingredients make me think that the recipe will be more expensive to make whether or not that's true. I think the number of ingredients in these recipes are reasonable. There are usually about 10 ingredients but that will include salt, pepper, and cooking spray. For my lifestyle, I can usually do with fewer ingredients but you know...I'm just like that. Ingredients - Common. I love to cook recipes where the ingredients are already in my house! How awesome is that! I love to cook, so it makes it easier for me to cook on every whim. This is especially handy when I'm studying corporations because it is the type of subject that makes you want to cut some onions. If I have to buy a new ingredient, I really want it to be something that I will use again. This cookbook is cutting it close with that one. I certainly had to plan the recipes ahead of time and buy ingredients that I had never heard of and had no idea where to find. Luckily toward the end of my experience with this book, it worked out because the recipes used some of the same ingredients over and over. So I definitely got my money's worth as long as I stick with this cookbook. It's so easy to do that I certainly didn't mind in the end. Just an extra note, I had to find many seasonings and other ingredients at my local whole foods and central market. If I was back home, I would be out of luck because we have itty bitty grocery stores where it is hard to find normal food. So I'd be careful about that one. Simplicity. I am lazy. That is all. Oh and this is where this cookbook shines! All the recipes where so easy to follow and make. And the end results made me look like I was an experienced chef. Other people who have tasted the results give me much more credit in the kitchen than I deserve. This cookbook is really great for creating a fancy looking meal and impressing a special someone. Or a potential special someone. Or maybe your boss. The recipes are simple but the end result doesn't look like it at all! Time. I'm studying for the bar. They lied and said I would be studying 8 hours a day. It's more like 15. I don't have time to talk to my mom, let alone cook meals that take an hour. These are quick! I love it. The longest recipe took me 25 minutes and the shortest took me about 10 to prep. Baking/cooking time is usually 7-20 minutes. Longer if you forget about it in the oven. This was perfect for me. I think the Hubby thinks I slaved over a stove for 2 hours on our anniversary to make dinner. I'm pretty sure that I actually fixed everything while he was in the bathroom and then stuck it in the oven for 15 minutes. Hey I take credit even when I don't deserve it. Taste. Yes, it must taste better than pizza rolls. This is not as easy as you might think. I LOVE pizza rolls. Every recipe that I have tried has been amazing. There are not words to describe how much my world was rocked. I really don't want to move to a new cookbook. I've made some recipes like 6 times already. Yum-my! This book has a ton of helpful extras. If you don't know how to cook or feel a little uncomfortable jumping out there, I think this book is very helpful with that. I was most excited that it gave me a list of meals that I could make using one rotisserie chicken. Or recipes for creating marinades for any meat. I've also fallen in love with making my own homemade salad dressings because of this book. There are so many ideas and tips that don't go to one recipe or other but can be used with anything. I think I learned a lot about cooking from this book. Overall, I think this cookbook is the queen of the cookbooks. I'm sold. 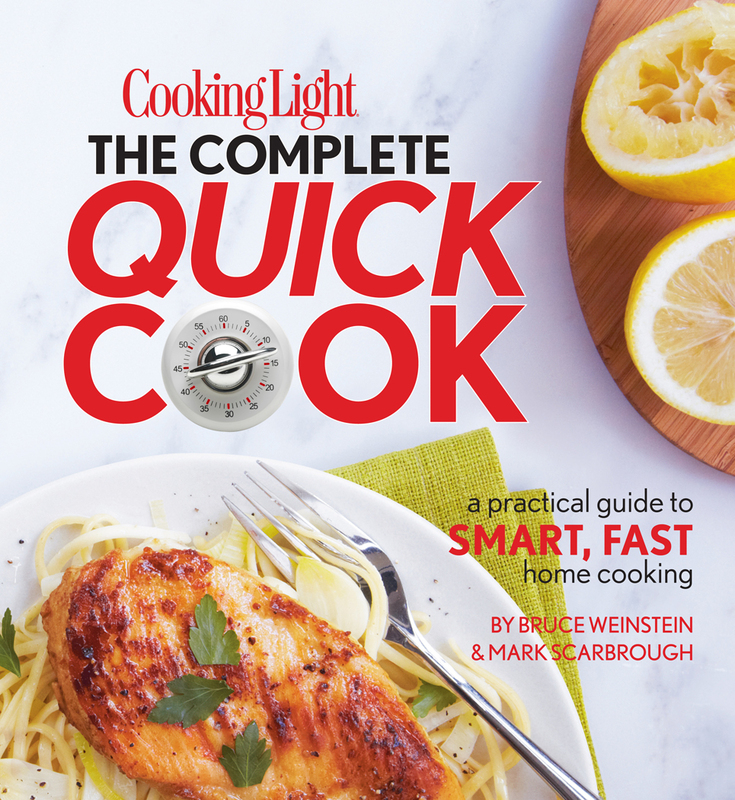 Many of the recipes are online or have been in Cooking Light magazine so you can find them without buying the book. But the book is more than just a cookbook so I'd say it is worth the investment. I've told you what I look for in a cookbook. What did you think of my list? What do you look for in a cookbook or recipe? I wish I was a bigger cook, but in my situation it's not really necessary. But the meals you made from this one looked great and I don't even get excited about food the way I used to. I'm glad this cookbook worked out for you! 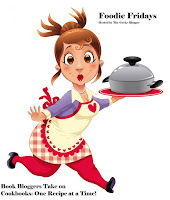 PS there won't be a foodie friday post this week because I am taking the rest of the week off. I need a mini-vacation and my parents are in town so it will be full of family, work, and cookouts! I need to get back into cooking but it's not easy when I am the only one to cook for. I love to cook! I like that they put a box for substitutes. But I have to be careful what I eat. I can't have dairy so it really limits what I can make. 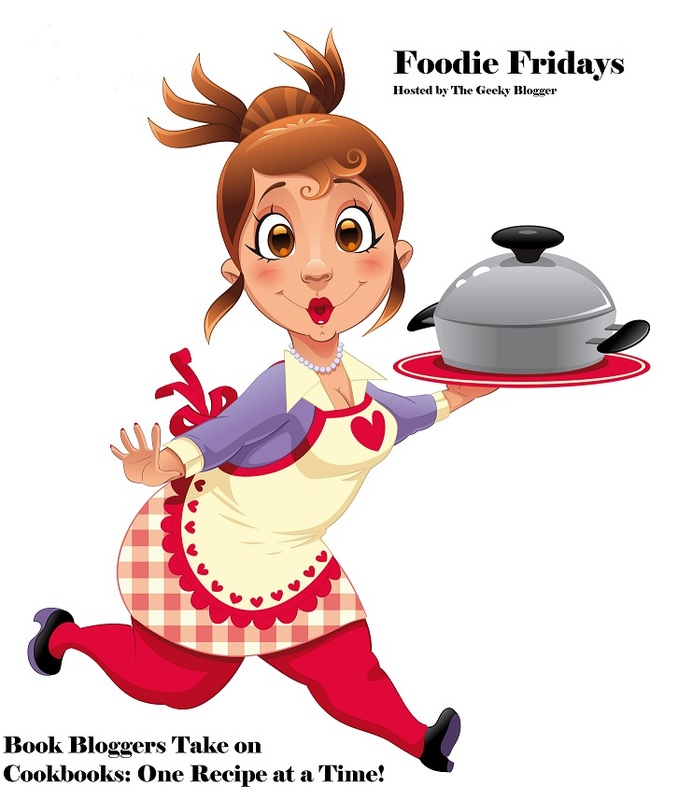 This is a great cookbook review, you gave so much detail and a great list of things to look for in a cookbook !